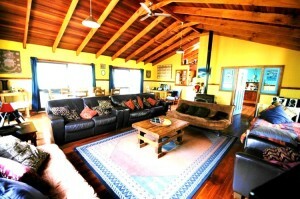 Fully Self Contained, Highly Equipped, Pet Friendly, Well furnished. Accommodates six people. 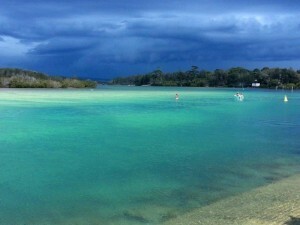 Beautiful unique, private and spacious beach house on Hyland park Peninsula in Nambucca Heads surrounded by estuary and rainforest. 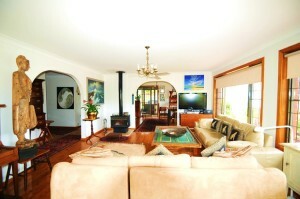 Just 7 mins walk to beach or 7 min drive to Nambucca Heads Town and beaches yet so private and bushy. Mid way between Sydney and Brisbane. Weekend: $380 to $450, add $130 for a weekday and weekly from $800 winter to $2400 at xmas More..
Accommodates 6 people. 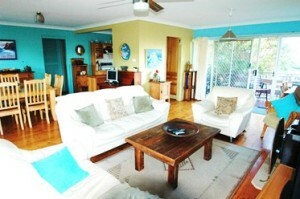 Buena Vista Beach House enjoys a great location with ocean views and within an easy stroll to town and beach. to multiple beaches. Separate up and downstairs area. Weekend $320, add $130 for a weekday, and weekly from $750 to $2200 xmas time. to More..
Accommodates up to 5 people. 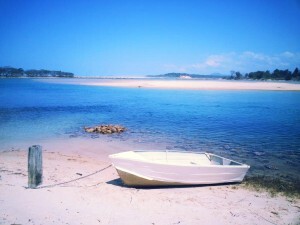 Lovely views of the Nambucca River- right in town for the town experience- just walk kayaks and paddle boards across the street to boardwalk jetty,put your boat into the river via boat ramp, boat rental, great cafes, RSL, Bowling and Golf Club, fine dining, and walk up hill to Woolworths. Weekly Minimum from $850 in winter to $200 per week at xmas. 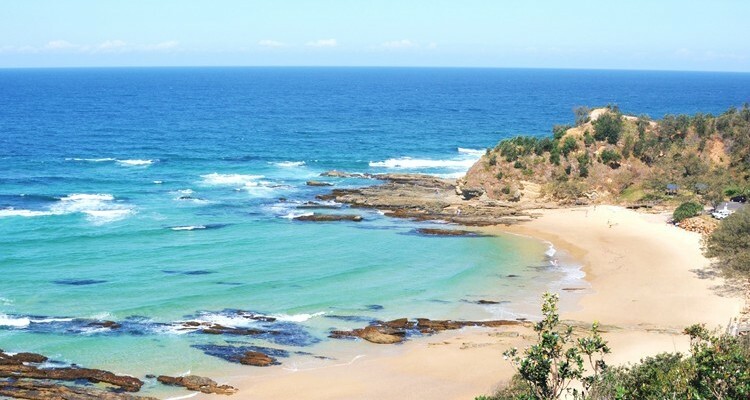 More..
Beautiful expansive ocean beaches. Walk from the end of the jetty over the rocks to Shellys beach. Then walk a further 15 min to Beilbys beach. 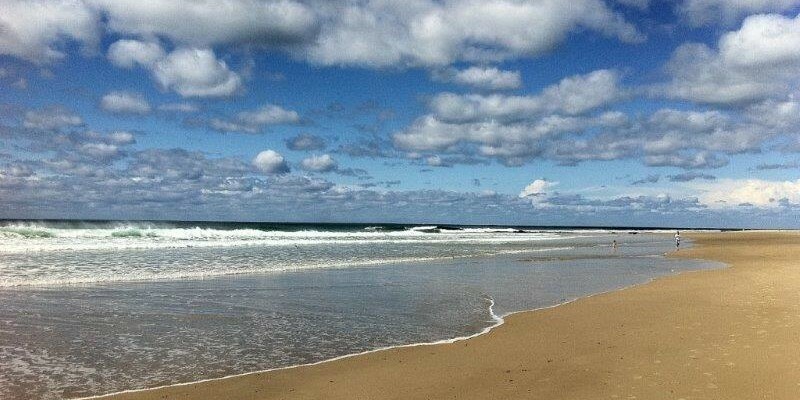 Then 5 Minutes to Main Beach…then another 35 minutes to Deep Creek Estruary at Valla Beach. More.. 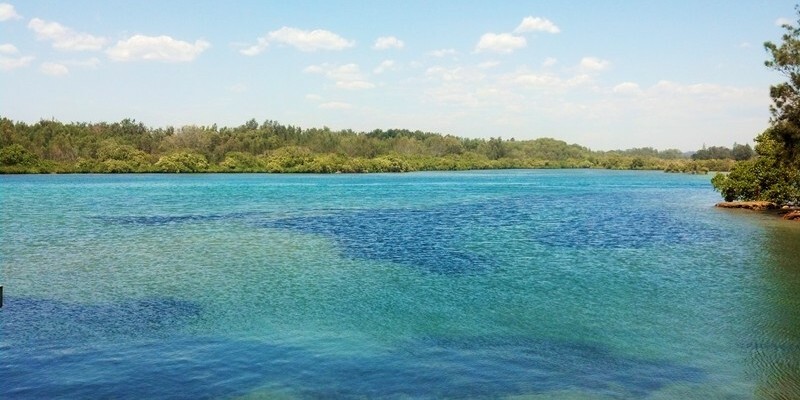 The Nambucca River has amazing beaches where you can swim, launch a kayak or paddleboard or just have a swim. Please check tide times and go when tide is coming in if you are not used to the tide movements. It is a lot safer on the incoming tide for swimming and kayaking. More.. 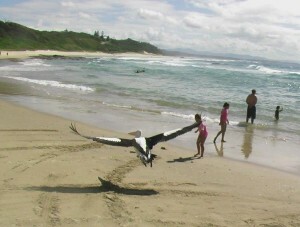 Enjoy the wildlife right in front of you…everywhere you go…Nambucca is a pristine environment. It does not have as much farming nearby hence it is low on pesticides in the river and there is no commercial fishing in the river…unlike a lot of coastal towns in NSW. 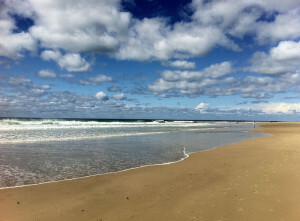 More..
© 2019 Nambucca Holiday Accommodation.